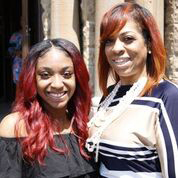 On Saturday, my daughter DeJeaneé will be among the first graduates of KIPP Nashville Collegiate High School. Her school is located in a well-maintained and cheerful facility on Douglas Avenue in the heart of East Nashville. But as a proud resident of this historically African-American neighborhood, I know this building was not always such a welcoming sight. When I was growing up in East Nashville, it was Highland Heights Middle School. When that school closed, it was used briefly as a juvenile detention facility and then it sat abandoned, a run-down, empty eyesore that cast a negative feeling on anyone who walked by. In 2014, a local nonprofit network of public charter schools called KIPP Nashville began renovations to make room for KIPP Nashville Collegiate. I didn’t consider this new school for DeJeaneé until her eighth-grade teachers at Gra-Mar Middle School recommended it. In fact, they were so enthusiastic about KIPP Nashville Collegiate that they offered to drive her to visit the school because I could not get time off work to take her. Even though KIPP Nashville Collegiate was in its first days, DeJeaneé loved what she saw, especially the focused students and positive classroom environment. She called from the school office to say there was room and to ask if it was OK to enroll. I knew that DeJeaneé’s teachers understood her passion for learning and dream of earning a college degree, so if they thought KIPP was the right place for her, I had to agree. I signed the required forms that night, and DeJeaneé attended ninth-grade orientation at KIPP Nashville Collegiate the next day. Although it was a leap of faith to choose KIPP, we’re grateful we had the option. It’s the best decision we’ve ever made. 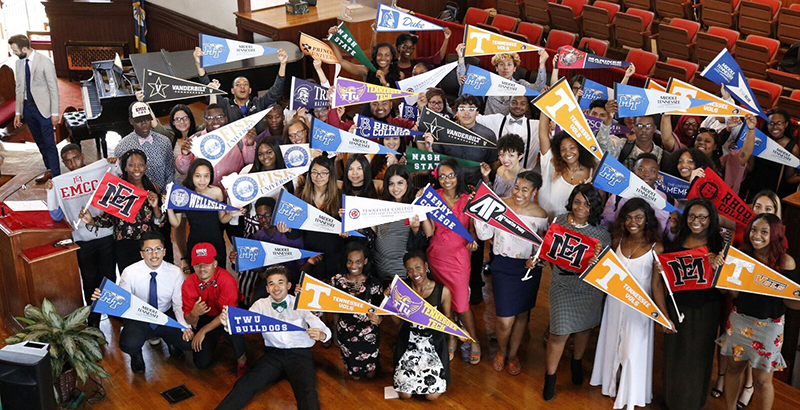 Along with providing a challenging academic environment, KIPP Nashville Collegiate gave DeJeaneé the chance to participate in many exciting clubs and activities. She joined a junior debate team that partnered with Vanderbilt Law School, traveled to Atlanta to represent the school’s Key Club, and spent a summer at Columbia University in New York City. DeJeaneé leaped at every opportunity and made the most of everything the school had to offer. Through these experiences, DeJeaneé has gained not only the knowledge needed to thrive in school but also the leadership skills to make a difference in her community. When she realized that KIPP Nashville Collegiate had no girls’ basketball team, DeJeaneé decided to start one. She recruited a teacher to be the coach, found a practice gym at the community center, and encouraged her female peers to join the team. Thanks to the confidence DeJeaneé developed during her time at KIPP Nashville Collegiate, the girls were able to get off the sidelines and onto the basketball court. But the ultimate measure of a high school’s success is what happens to the students after graduation, and that’s why I am so proud of where DeJeaneé is headed. Through her college readiness class, she applied to 11 schools and was accepted by six. DeJeaneé recently accepted a spot — with a full scholarship — to attend the University of Tennessee, Knoxville, this fall. She is not alone; the school reports that nearly 90 percent of her fellow graduating seniors also plan to matriculate in college. I know that with the mindset and work ethic that KIPP Nashville Collegiate instilled in her, DeJeaneé will hit the ground running at UT in pursuit of her goal to become a physical therapist. And despite the inevitable challenges that are ahead, she has the perseverance and grit needed to make it to graduation. But my appreciation for KIPP Nashville Collegiate is bigger than the success of the school’s founding class. That’s because the building that was once a blight on the neighborhood is now a bright spot in East Nashville, full of young people working hard to create a strong future for themselves. KIPP Nashville Collegiate has brought a new spirit of positivity to the community that goes beyond its four walls. With the leadership skills she gained at KIPP and the college degree she will earn at UT in the years ahead, DeJeaneé will be able to make a difference wherever she goes in her future, whether it’s back home in East Nashville or somewhere new. That’s why I am celebrating the class of 2018 and the potential of these young people to make our community even stronger than it is today. Aimee Paschall is the proud parent of a member of the inaugural graduating class of KIPP Nashville Collegiate High School.